We are the first female international HEMA network, created to unite and support women martial artists, as well as to encourage more women to take up the practice of Historical European Martial Arts. Encourage more women to practice HEMA by understanding what prevents women interested in HEMA from practicing, challenging outside perceptions that may obstruct their interest, and by sharing our experiences as practitioners of the art. Unite female HEMA practitioners around the world by offering a female-led discussion platform and creating and strengthening bonds between them. Provide information of interest to HEMA practitioners with a principle focus on issues that affect female students and instructors. Create and support small events or programs around the world both open to all and for members only that serve the previous points. This project has no intention of segregating the HEMA community. We believe that by supporting and developing women fighters the entire HEMA community will benefit and grow stronger. We admire and are in favor of quality fencers regardless of gender. Ruth co-founded the Esfinges in 2012 while attending university. She began her practice of HEMA in 2008 and felt that if she was going to see more women join, they were going to need some support. It was her vision that there be a community of women within HEMA. Since graduating with a degree in Sports Psychology, now focuses on her career. Ruth continues to be a strong supporter of the Esfinges mission and of all female martial artists and athletes. Founder of the reenactment group and HEMA academy, Yggdrasil Völker, founder of/and instructor at the Kanan Academy. Mariana became interested in and started practicing HEMA in 2007. Looking for growth, both for herself and her group, she has been involved in the organization of various HEMA events in México and the USA such as staffing, judging and refereeing at national and international events. In 2012 she co-founded the female HEMA network, Esfinges, with Ruth. She is also part of the founding and organizing committee of the TNEA (Ancient Fencing National Tournament) until 2018 and is currently an instructor at Virginia Academy of Fencing (USA). Fran is one of the original founding members of Esfinges and helped proliferate the group in Europe. She runs The School of the Sword in Godalming UK and is one of the founders of Waterloo Sparring Group. She has studied Bolognese swordplay and Italian rapier since 2010. Fran is also known for her addiction to social media and is the founder of no less than 5 other HEMA related Facebook groups, such as HEMA Hacks. She is a main organiser of a number of international events including The International Rapier Seminar 2016, The first Ilkka Hartikainen seminar in the UK, Astolat 2016 and Astolat 2017. Fran has taught and competed in Europe and the USA, medalling in several tournaments.  Fran actively took part of the administration team until 2018 and now continues to be part of Esfinges as a member. Check out our full gallery by clicking the button below! Esfinges is an organization that supports, enables, and encourages women in the practice of Historical European Martial Arts (HEMA), from the time they first think about picking up a sword throughout their HEMA career. Who are the members of Esfinges? We are a diverse group, with female members of all experience levels, from countries around the world. This sounds like a fantastic group, how can I join? To join the Facebook group, click on the ‘request to join’ link in the upper right. If you identify as female and have an interest in HEMA, you are welcome here. We also have a public page for all supporters. By the way, what’s an Esfinge? “Esfinge” is the Spanish word for “Sphinx”. Sphinxes are pretty cool. The name denotes the origins of the founders of the group in Mexico. So why have a women-only page? Having a women’s page allows us to focus on questions and concerns regarding things that may affect a female HEMA practitioner (for example, such as what gear is best suited for a certain female body type, etc), address topics you might not feel ready to ask your instructor or training partners, and to provide support for each other. It’s a place for us to get inspired, recharge, and share our experiences in a way that is welcoming and non-judgmental. What are the rewards of being a woman who practices HEMA? Women in HEMA are warmly welcomed and supported by all members of the community, which means you'll belong to a great big HEMA family. There are many other benefits as well. You'll be staying active by doing something you enjoy. In addition, the physical and emotional benefits of exercise are well-known.Moreover, the HEMA community is growing, which means more opportunities to practice and meet other people with similar interests. You’ll make friends with people who live halfway across the country (or the world, even), increase your self-confidence as a fencer and quite possibly your knowledge as a historical scholar as well, and there’s always the chance that you’ll make all your other friends jealous (until you convince them to start HEMA as well, of course…). I have an idea for X piece of women’s gear or tournament event/workshop that could be geared to women. Can I discuss it on Esfinges? Sure! If you are open to discussion, so are we! HEMA is the abbreviation for ‘Historical European Martial Arts’. This encompasses the study and practice, based on historical texts, of a wide range of historical weapons, including (but not limited to) longsword, sword and buckler, messer, dagger, ringen (grappling), rapier, and saber. Whoa, this sounds pretty cool, tell me more? From the early middle ages up until the early 1900s, different martial techniques have been documented by the masters of the time. There was an earlier revival of historical fencing in the late Victorian era, with Alfred Hutton and Egerton Castle being the prominent proponents. This movement was short lived, and only in the last two decades have many of these works been rediscovered. Today, there are scholars and practitioners researching, translating and interpreting historical martial arts treatises all over the world, and the best way to test the theories in these books is to put them into physical practice. Thus a small but growing community made up of many clubs covering a diverse range of weapons and styles has grown up in this time. There are regular tournaments held where practitioners gather together to test their training under the pressure of competition. Museums and events also sometimes call upon historical fencers to display sword fighting techniques. Is it stage fighting or reenactment? No. The difference between stage fighting and historical fencing is that stage fights are rehearsed. The actors know what is going to happen and when; they plan the attacks, parries and hits. Reenactment seeks to visually reproduce aspects of life from the past. Battles and fights are for educational purposes and similarly choreographed, albeit loosely, for the benefit of an audience. Historical fencers use the best modern safety equipment, our swords are blunted and tipped, as they would have been when training in the past, and we train to give controlled blows. But otherwise the fights are 'for real'. Do I need any previous fencing or martial arts experience to train? Absolutely not! Although some of us have some background in Olympic fencing, SCA, reenactment or in other martial arts, many of us have never fought in any capacity before starting HEMA. All you need is a willingness to learn and an understanding that as with any art or athletic activity, it takes patience and practice to improve. There is no obligation to push yourself any harder than you want to, and tournament fighting is not necessarily the object of study. Some people do it to keep fit, some to learn, some to become better fighters. There are many reasons why, but above all it is fun! Safe practice is something the community takes seriously. It's instilled from the very beginning, and includes aspects such as how to safely handle a weapon, spatial awareness, and both physical and mental control. However, this is a martial art and, as with any martial art, the occasional bruise may be expected, and there is always a risk of injury. Any good club will do everything possible to reduce that risk to a minimum. You can think of it as similar to driving a car. There is always a level of risk inherent in driving a motor vehicle, but you can take precautions (driving courses, defensive driving techniques, wearing your seatbelt, etc) to reduce that risk. Modern safety equipment - masks, hard chest protectors, kevlar gloves, and similar - also helps protect fencers from harm. As the art is growing, more HEMA-specific equipment is constantly being created, which is geared to the specific needs that historical fencers face. I’m still in my teens, or I’m a bit older than most athletes. Is there an age limit? Whether or not you are old enough will depend on the individual clubs and schools' policies, but many will permit under-eighteens if they are accompanied by a responsible adult. There is no upper age limit. I’m curious and want to check it out. Where can I find my nearest club? There is a club finder on the HEMA Alliance website . If you need more information, please message us on the contact page and we will do our best to help. So what kind of weapons do you actually use in practice? These are many and varied: HEMA spans several centuries of weaponry. Many groups teach longsword and these can be nylon or steel. Often times a steel longsword will be a federschwert, a historically accurate training sword that has a much thinner blade than a standard sword, but is balanced and weighted the same. A messer is a type of long heavy knife not dissimilar to a machete. Some groups practice rapier, dagger and smallsword; these are always steel. There is also sword and buckler - a buckler is small shield held in the off-hand. Many groups also teach different types of grappling and wrestling which require no weapons at all. Other weapons, such as dussack, sickle, Irish stick, etc. are also in practice, but are far less common. I’d love to learn, but I can’t afford a steel weapon. What should I do? Many groups will have steel or synthetic loaner weapons available; many other students opt to purchase their own training weapon until they can acquire a steel weapon. Trainers are more affordable, but before purchasing one, be sure to ask your group if they have a preference for any certain type of trainer. Okay, I’m all set to sign up for my first class. What protective gear do I need? The gear you need will vary based on the weapon you are studying, your experience, and your group’s policy. Talk to your teacher about what gear you should have at the appropriate time (you may be able to use loaner gear to start). When you're ready, feel free to ask us for advice. Common gear includes things like a mask, gloves, and jacket; some activities, such as full-speed sparring with longsword, require significantly more gear than others, such as ringen/grappling. Where's a good place to get [protective equipment] for [weapon]? HEMA-specific protective gear is still a relative newcomer to the market, so options are growing constantly. Right now the more popular sites include Leon Paul, PBT and Absolute Force for masks; and PBT, Leon Paul and SPES Historical Fencing for fencing jackets, gambesons, protective skirts, and pants. Also please keep in mind, as previously stated, that what gear you need will vary with what weapon you are fighting with - or, in the case of ringen, no weapon at all. For rapier and smallsword, leather gloves with a flared cuff or sport-saber coach's gloves are usually suitable. A more protective glove such as police riot gloves, Red Dragon, or lacrosse gloves may be suitable for the off hand, that is, the hand that is not holding the primary weapon. For sword and buckler and longsword drilling, Red Dragon or lacrosse gloves are usually appropriate. For longsword sparring, Sparring Gloves, SPES heavies, St. Mark's Konig Glove, or Comfort Fencing gloves are appropriate for both steel and synthetic weapons. Using synthetic weapons instead of steel ones does NOT lower the risk of injury to the hands. How long until I should get a sword? If you’ve decided that HEMA is an activity you’d like to pursue long term, a good quality steel sword (Albion, Regenyei, Ensifer, Chlebowski, Danelli, Darkwood etc) will likely take a few months to make, so if it’s possible, the sooner you can order one, the sooner you’ll have it. In the meantime, use what equipment is available at your school or club. Where applicable, wasters such as Rawlings, Pentiis, and Purpleheart are plentiful and relatively inexpensive. Where should I get a sword? Talk to your instructor to see if your group prefers any one style of sword over another; the more popular brands include Albion (albion-swords.com), Darkwood Armory, Danelli Armouries, Regenyei (regenyei.com), and Ensifer (http://ensifer.carbonmade.com/) . For a waster, Purpleheart Armory (http://www.woodenswords.com) offers excellent quality wooden and synthetic swords. What’s the common gear for Longsword? Mask, gambeson, rigid chest protection for woman and cup for men, gorget, elbow/forearm protection, padded pants or skirt, knee/shin protection, back of the head protection, heavy gloves/gauntlets. What’s the common gear for Rapier? Mask, gorget, jacket, rigid chest protection, elbow protection, knee protection, gloves, cup for men. What’s the common gear for Sword and buckler? What’s the common gear for Saber? Mask, jacket, rigid chest protection, elbow protection, knee protection, gloves, cup for men. What’s the common gear for Ringen(wrestling)? Mouth guard, wrestling jacket or gi and capris or wrestling shorts. In ringen the most important is not to have any kind of metal buttons or similar in the clothing and having all your nails well trim and the hair tied. Where can I find sources on X HEMA weapon? One of the most-recommended places to start looking is on the Wiktenauer website (http://wiktenauer.com/wiki/Main_Page), which may be the most comprehensive one-place HEMA sources site. Best of all, it’s free. You can also ask your instructor and the other members of your group for their preferred primary sources. When do you start sparring? This varies by group; some will let students spar from day one, while others will have a minimum training period first. It is often advantageous to start sparring with instructors or more experienced students first, as they will both be able to offer constructive feedback and control their strikes. When do you start sparring with steel? This will vary both by group policy and availability of steel swords. In the case or rapier and smallsword it will be from the beginning as there are no synthetic simulators for these weapons. Please note that if you are not yet comfortable sparring with steel, it is your right to say no. How do you carry your swords? If you live in a city or otherwise densely populated area, never open carry a steel sword. Options for bags include Absolute Force, which makes a HEMA-specific bag, large duffels you can buy at a luggage store, sportubes, a rifle sock, snowboard, fishing, and ski bags, sportubes. For those of you who are more crafty, making your own bag is also a possibility — just make sure to use a strong fabric, such as canvas or cordero, and reinforce it at the bottom. Hard golf cases are recommendable for traveling, especially air travel. How do you carry your swords on a plane? Advice will vary based on what kind of bag you are traveling with, and the country of travel. Ensure you pack your swords securely e.g. disassemble if possible and pack the blades into plastic tubes, taping up the ends. Contact the airline if possible to let them know you will be checking in sports equipment. If asked, ‘fencing equipment’ or ‘theatre props’ are suitable terms. Check swords in as separate sports equipment to go into the hold. Make sure to weigh your bag and ensure it complies with the airline baggage restrictions (usually 50lbs) to avoid costly overweight baggage fees. Who is the top [weapon] fighter? Well, there’s no definitive answer to that, but hey, who knows—start training and maybe one day your name could be in the discussion!